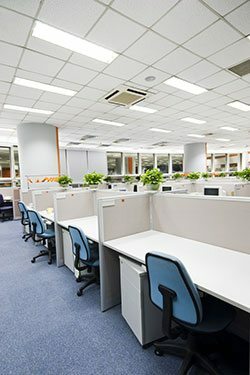 As an operations manager or electrician, it can be difficult to calculate whether upgrading your facility’s lighting to LED will truly be a smart investment.Retrofitting large office spaces with LED lighting can have a large impact on bottom line energy savings. How much will it cost to install a new system or retrofit the old one? How much money will really be saved? How long will it take for the business to recoup its initial investment? These are all important questions to ask, and luckily, it’s possible to calculate your expected return on investment for LED lighting. 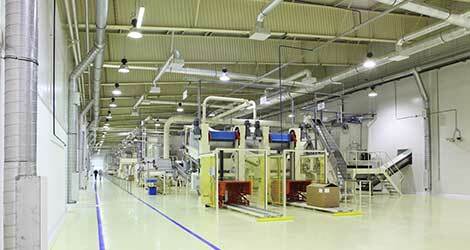 Strong ROI case studies on LED upgrades exist in many industries. For example, Marriott Headquarters in Bethesda, Maryland, took the leap with LED retrofit systems last year, according to Ecotec Lighting. The Marriott headquarters replaced 400- to 1,000-watt HID lamps with energy-efficient LED lamps. The company also added lighting control systems and motion sensors. Overall, Marriott reduced its energy use by 66 percent and now saves more than $120,000 each year in energy and maintenance costs. With these savings, the estimated payback period is only slightly more than two years. To calculate retrofit or new systems ROI, follow these steps or use one of the tools listed below. Skeptical about investing in LED because of the price of products? Calculate your LED return on investment to understand the benefits you’ll realize down the road. Next, gather information on the proposed new LED lighting options and get estimates on installation costs. The formula you should use will depend on whether it’s an entirely new LED system or a retrofit. While it’s possible to run these calculations yourself, there are many tools available to help you out. All you have to do is gather the right information and enter it into one of the many available ROI calculators. These tools are editable, and you can insert calculation rows or columns to accommodate more fixtures. You also have the ability to edit calculations and tailor them to your project. Example: The Luminaire Cost Comparison is based on a 10-year system life. LEDs have closer to a 20-year life. You would edit the formula to reflect that difference. 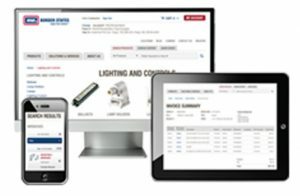 GE Lighting’s ROI tool is available for download. Cooper Lighting’s LED Calculator has calculations for both indoor and outdoor applications. Energy upgrade software apps, such as ecoInsight, offer detailed reports and have a free trial so you can see if their solution works for you. Very helpful and informative thank you!